As more and more states have legalized either medical or recreational marijuana, more people are switching from burning marijuana to vaping marijuana. One of the biggest advantages that vaporizing marijuana has over burning it is the cleaner vaporizer. Whether you’re looking for the best first vaporizer to buy, or you’re looking to add to your vaporizer collection, we’ve created a site where you’re able to read reviews from actual owners. This way, you know exactly what to expect from the vaporizer you decide to purchase. What’s the best portable vaporizer in 2017? That’s a tough question. While there are many new vaporizers that come out every single month, not all of them are worth your money. The best portable vaporizer is the one that best fits what you’re looking for. For example, if you’re someone that’s just starting with vaping, perhaps you’re not looking at a top-of-the-line option from PAX Labs or Storz & Bickel, which generally sell most of their vaporizers for $300+. You can read more about the vaporizers we recommend, as well as why we think they’re the perfect choice for every category. To check out the latest prices, make sure to check out the Authorized Sellers in the right sidebar. Many of these vaporizers come with FREE 2-day priority shipping and a FREE grinder! PAX Vaporizers have been around for a while, and the company continually refines its products by listening to customers’ suggestions. 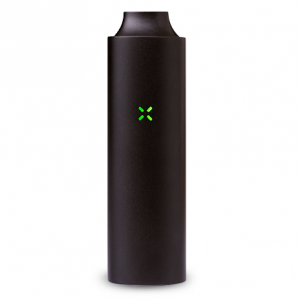 Similar to the Pax 2, the Pax 3 is very easy to use. To load the unit, simply remove the bottom cap and add your dry herb. The PAX 3 Vaporizer is our pick for Best Overall Vaporizer of 2017. It is a very portable unit that offers good battery life in a very attractive brushed aluminum body. Every PAX 3 is covered by a 10-year warranty, so you can rest easy that you’re covered (most vaporizers have a 1-year warranty). This is the perfect vaporizer for outdoor activities like hiking and biking. It can easily be stowed and heats up in about 20 seconds. This vaporizer is dead simple to use and is a perfect choice for a first vaporizer, especially if you want one that is portable (trust me, you do!). With the Flowermate, it’s as simple as loading the chamber (which holds .3g of dry herb), screwing on the Pyrex mouthpiece, and pressing the power button five times to turn it on to the lowest setting. With three preset temperature settings (blue, purple, red), you’re sure to find one that works for you. Quick tip: most people that own this vaporizer like to start at the lowest setting (blue), then after a few minutes of vaporizing, hold down the power button to kick it up one temperature setting to purple, and one more to red (the highest setting). If you’re looking for your first vaporizer or just a very simple-to-use unit, the Flowermate v5.0s Vaporizer is a fantastic value at around $80. Should you buy a Flowermate v5.0s Vaporizer? This is a great unit for those who are new to vaporizing for two reasons: it’s fairly inexpensive and it’s very easy to use. The next upgrade up from one of these units would be something like an Arizer Air that provides better vaporizing of the material and a smoother taste. The Flowermate V5 PRO Vaporizer is very similar to the v5.0s from Flowermate, but it features a few upgrades. This unit features a digital display that allows you to set a specific temperature between 104 and 446F (40-230C). The display also shows the battery life, allowing you to know when you need to charge the vape. Depending on which temperature you choose, you can expect about 2 to 3 hours of on time. This is around 10+ sessions. 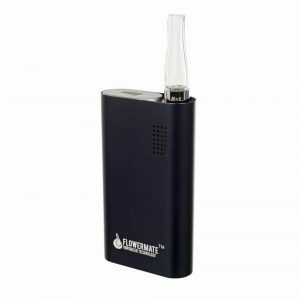 The vaporizer is powered by 2 very high-quality LG or Samsung 18650 batteries. Like its cheaper brother, the v5.0s, this unit is turned on by rapidly pressing the big button 5 times within 2 seconds. It will then start to heat up, at which point you can adjust the temperature with the other two buttons. The V5 PRO also comes with two tanks, one for dry material and one for wax. Should you buy a Flowermate V5 PRO Vaporizer? This is, without a doubt, the best vaporizer you can get for $100. If you’re looking for the best value for your money, this unit is a great choice and might be worth getting over the v5.0s as it has a screen that shows battery life and has more adjustable temperature settings that are more precise. Just check out the reviews on PuffItUp, and you will see why this vaporizer is a favorite among many who vaporize. 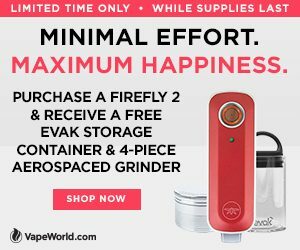 As of April 2017, the Flowermate V5 PRO is being sold for only $99 with code ‘PRO’. 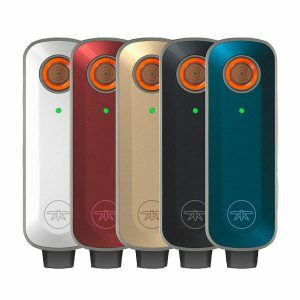 The Arizer Air is the newer and smaller version of Arizer’s popular Solo vaporizer. One of the best upgrades from the Solo is the ability to change out batteries on the go with vaporizer rather than recharging only being possible from a wall outlet. On a charge, you can expect about an hour of usage, with an automatic shutoff after 10 minutes just in case you forget to turn it off at the end of your session. The biggest strength of the Arizer Air is its vapor quality and taste. At first, vapor quality is a little on the weaker side but quickly increases as the dry herb reaches the temperature you set. Like its older brother, the Solo, it’s very easy to clean the Arizer Air. Just use isopropyl alcohol and swish it around in the stem, then rinse thoroughly with water and dry. Should you buy an Arizer Air Vaporizer? The Arizer Air is a good vaporizer to buy if you’re looking for a simple unit that is durable, produces good flavor, and is easy to maintain and clean. At below $200, it’s a great unit for those that are looking for a no-fuss option to vaporizing herb. 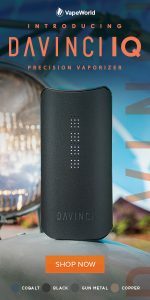 The Davinci IQ is a premium vaporizer that competes with other vaporizers like the PAX 3 from PAX Labs. 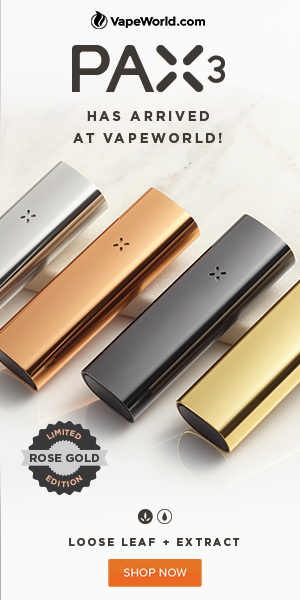 It is aptly named because it is quite the smart vaporizer. The unit is able to connect to your phone through Bluetooth and allows you to change the temperature settings easily and includes the option to set a “smart path” whereby the unit will increase the temperature at which it is vaporizing the dry herb to any temperature you’d like. 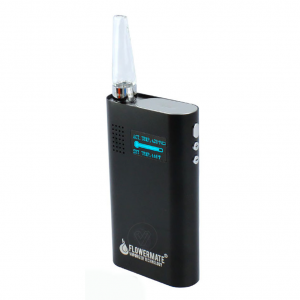 This vaporizer provides a fantastic vapor that is clean and cool. The Davinci IQ features a ceramic zirconia air path and other food-grade materials to deliver the purest flavor ever from a vaporizer. The Davinci IQ also features a user-replaceable battery (the popular 18650 type) that lasts up to 1.5 hours on a charge. 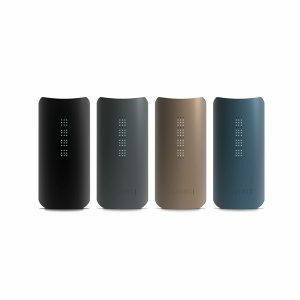 When you run out of battery on this unit, you can simply toss a charged battery in, something which is not the case with other vaporizers in this price range like the PAX 3 from PAX Labs. Should you buy a Davinci IQ Vaporizer? If you’re looking for a premium vaporizer that’s built well and provides a fantastic experience, the Davinci IQ is worth checking out. At around $300, this unit will serve you well for years as it’s backed by a 10-year warranty (yep, it really does have a 10-year warranty). Any company that is willing to stand behind its product for that amount of time means its products are well-built. The IQ’s Smart Path Technology allows a user to connect the vaporizer to their smartphone via an app (iPhone/Android) to create custom temperature profiles which will increase the temperature as the session draws to a close to extract the maximum amount of THC from the dry herb. There are many good vaporizers out on the market in 2017, but the Firefly 2 stands out — and for a good reason. The Firefly 2 uses a convection heating system that will allow you to take only a few draws at a time if you choose to save the rest of your dry herb for later. Its instant-heat technology provides just the right amount of heat. If you’re looking for the best vapor quality vaporizer in 2017, this is it! The original Firefly was a fantastic vaporizer and got great reviews from vaping enthusiasts. The new version, the Firefly 2, is even better. It offers fantastic vapor quality, is compatible with herbs and concentrates, and is very efficient in its use of dry herb. The new version of the vaporizer is also lighter and smaller than the original, something which makes it a breeze to use. The unit does have a few drawbacks, namely that there’s a little bit of a learning curve to using it. We recommend checking out the linked YouTube video for some Firefly 2 tips & tricks before purchasing and using it for the first couple of times. Moreover, the Firefly 2 has some additional features that we like and think elevate the vaporizer experience a little more: removable batteries and smartphone connectivity through Bluetooth. Whereas many dry herb vaporizers do not feature removable batteries, the ability to quickly change batteries on the go is a very useful ability, especially if you like to take your vaporizer places here there’s no way to charge quickly. Should you buy a Firefly 2 Vaporizer? The Firefly 2 is a significant step up from the first version of the vaporizer and features a 2-year warranty. With its sleek design and user-replaceable batteries, this vaporizer is the perfect option for someone that values superior vapor quality while on the go. If you end up with a Firefly 2, definitely think about adding a second battery and a case! Looking for a vaporizer that will not only last you a long time, but is also backed by a really long warranty? Look no further than the Crafty & Mighty from Storz & Bickel, which both come with a 10-year warranty! The Crafty is a few bucks more expensive, but it features smartphone connectivity to adjust temperatures on the fly and a longer battery life (80+ minutes/~4-8 sessions). Should you buy a Crafty Vaporizer? 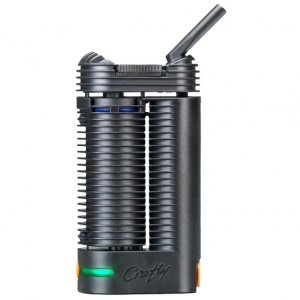 The Crafty is a good vaporizer for those that value an all-around good portable vaporizer. It has it all: good vapor quality, quality construction, and a cool smartphone app. Some may be put off by its somewhat high price (Storz & Bickel have always been premium-priced vaporizers). Should you buy a Mighty Vaporizer? The Mighty, along with its Crafty cousin, is one of the best dry herb vaporizers out there. 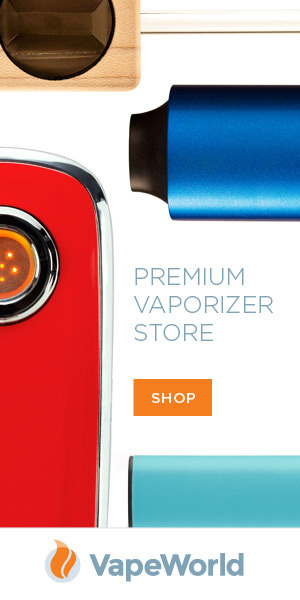 It is a premium vaporizer (as is everything from Storz & Bickel), and that means it is on the expensive side. 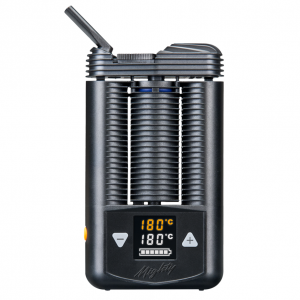 If you’re looking for one of the best portable vaporizers, the Mighty is a fine choice. 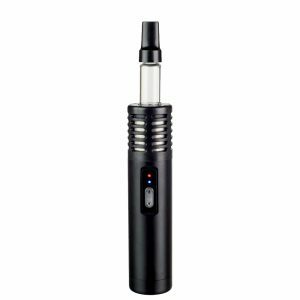 These vaporizers are awesome for both beginners and people who have been vaping for years.